The Department of Health has decided to increase the eligibility levels for medical cards for those over 70 who have now to reapply. The new net income rate for a single person will be €240.30. The rate of €173.50 for a single person living with a family will no longer be applied. The rate for a married couple is being increased from €298 per week to €480.60 per week. The department says the increases will ensure the eligibility levels are in line with the contributory State old age pension for those aged over 80 years. The 140,000 older people affected by the medical card changes will receive a means assessment document from the HSE between 31 October and 14 November. The government said these people will be asked to return the means test form within two weeks, to ensure their status can be decided before the changes come into effect at the start of January. The Minister for Health, Mary Harney, has admitted that there has been a lot of confusion about the new rules. Speaking on RTÉ’s Six One News, the Minister said the vast majority of people over 70 years of age would get the full medical card. Eight out of ten would be able to visit their doctor free of charge and five out of every 100 would be eligible to a cash payment of €400 for a single person and €800 for a couple. The Minister also denied that the Government has been forced into a climbdown. Ms Harney also said that existing HSE guidelines on medical cards would have to be changed because of the new provisions made in Tuesday's Budget. The Minister said she understood peoples concerns about the change to the system but she said tonight's change in the eligibility threshold for the card was not a change in the Government's decision. But the €40 per week increase has been dismissed by Opposition parties and by Age Action as 'tinkering' that will not undo the damage to older people. The Tánaiste has said this evening's change to the eligibility limits for over-70s medical cards does not amount to a climbdown. Speaking on her way into a Dublin Chamber of Commerce dinner tonight, Mary Coughlan said the steps taken this evening were a matter of clarification. Mary Coughlan said a letter would be written to all those effected explaining the situation to them. 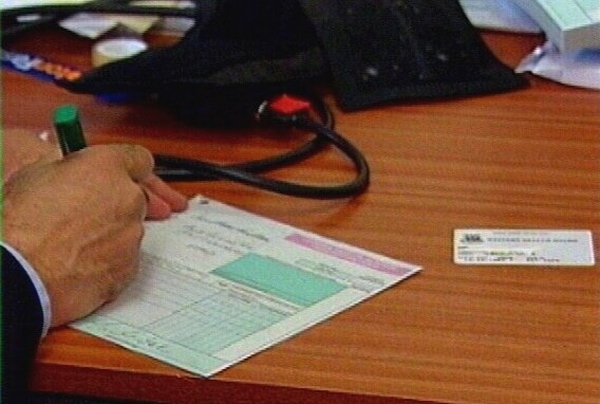 She said it was important that people who have an entitlement to a medical card under a means test are assured that they continue to have that entitlement. Meanwhile, the three Independent TDs supporting the Government are to meet Ms Harney tomorrow to discuss the medical card controversy. Finian McGrath, Michael Lowry and Jackie Healy Rae requested the meeting with the Minister in order to express their concern about the scheme. Deputy McGrath said they wanted to see the issue resolved, because although the Government had raised the eligibility threshold, the issue 'was not going to go away'. 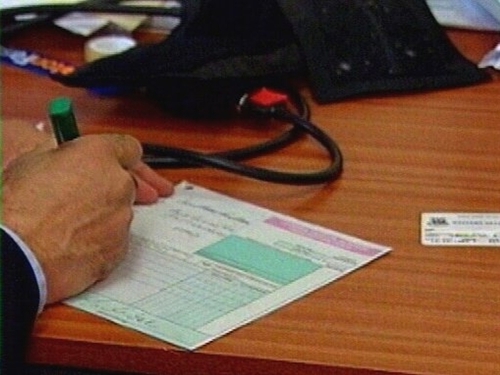 The Government will have to introduce legislation to bring back means testing of people over 70 for medical cards, the Tánaiste has told the Dáil. Opposition parties have indicated they intend to put maximum pressure on Government backbenchers over the issue. There were noisy and angry scenes in the Dáil this morning, as Opposition parties challenged the decison, which will lead to 140,000 people facing a means test to see if they retain the card. Another 215,000 people over 70, who have already had a means test to get their card, will not be affected. Tánaiste and Minister for Enterprise, Trade & Employment Mary Coughlan told TDs that the decision was a Government one, and that the Opposition could not drive a wedge between the coalition partners on the issue. The Fine Gael leader Enda Kenny described the decision as stupid and callous. He said clarification was needed on the issue as there had been nothing but confusion surrounding it since it was announced. Labour Party Leader Eamon Gilmore called on the Government to remove what he called the anxiety and uncertainty that now exists in the wake of the announcement. He asked the Government to do the decent thing and remove the measure. Sinn Féin's Caoimhghín Ó Caoláin also said the decision should be reversed.